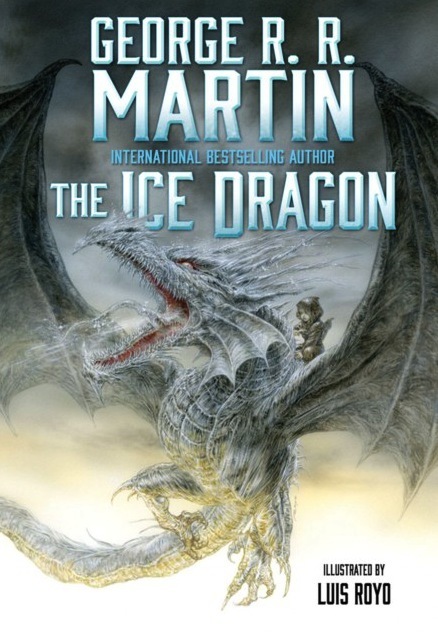 I just finished reading George R. R. Martin’s book The Ice Dragon to my daughter, and it broke her heart. She was in tears as the book ended, and truthfully: I was on the verge of tears too. It was a fantastic ending, the kind that makes you see the story in a new light, but it was also so full of sadness and sorrow and loss. Quite beautiful, really. Tonight my daughter wants to read it again. This time, however, I have to make up a different ending, one that is somewhat happier. But like she told me: “I’ll still know this ending”. The book is beautifully illustrated, and there is none of the “adult content” you’ll find in Martin’s A Song of Ice And Fire, but there is war and there is loss and death and sadness. This book also makes me think that A Song of Ice And Fire will probably end with similar feeling of loss and sorrow. Highly recommended from ages 7-9 and up.